AROOSTOOK COUNTY - Aroostook County Tourism (ACT) will be hosting a Tourism Summit Thursday, May 21, from 9 a.m. to 1 p.m. at the Knights of Columbus Hall in Madawaska, with a focus on how growing the tourism economy is a collaborative effort. "Just about every business in Aroostook County benefits when tourism dollars come into the region," said Jon Gulliver, tourism developer for Northern Maine Development Commission. "At the Summit we will discuss Aroostook's marketing goals for 2015-16, the Maine Office of Tourism will present on its plan to attract tourists to Maine, plus show business owners how using visitmaine.com and visitaroostook.com can help their bottom line without costing them one cent." Also on the agenda is a briefing from the new Executive Director of the Maine Tourism Association, Chris Fogg. Lise Pelletier, Director of the Acadian Archives at UMFK, will also present on the lasting tourism component of the World Acadian Congress. WCXU Channel X Radio is serving as a strategic partner for the event and has donated $250 of advertising to be drawn as a door prize. "The Tourism Summit is an opportunity for individuals in the tourism industry to network with each other and discuss similar issues and concerns they are experiencing in their business," added Gulliver. "Communicating with others in the industry creates new ideas and encourages people to work together to resolve some of the challenges and obstacles that many are faced with every day." The Summit is free and lunch will be provided. 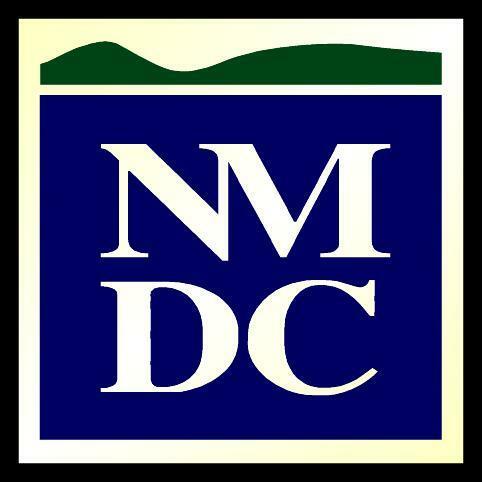 More information can be found at www.nmdc.org. Pre-registration is required by contacting Judy Dinsmore at NMDC at jdinsmore@nmdc.org or 498-8736. 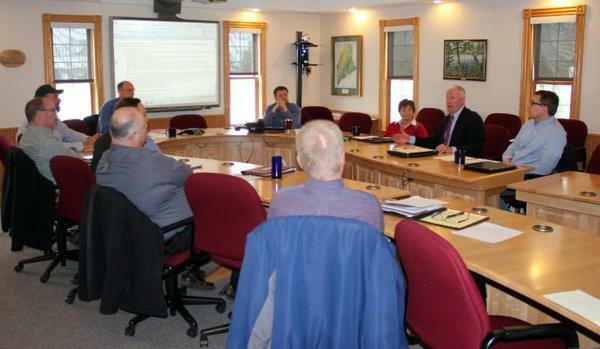 Aroostook County Tourism (ACT), a standing board of the Northern Maine Development Commission, is dedicated to improving the economy of northern Maine through its tourism efforts. Working under the brand Aroostook "The Crown of Maine", ACT promotes some of the region's greatest assets like its pristine beauty, diverse culture, storied history and wonderful people to potential visitors from around the world. Members of the Northern Forest Products Industry Cluster workforce/education subcommittee meet at NMDC in Caribou. AROOSTOOK COUNTY - The Northern Forest Products Industry Cluster is not scheduled to meet as a full group again until June 3, but that does not mean work to improve the forest economy of northern Maine has stopped. This week subcommittees looking at transportation and workforce development met to develop action items to bring to the full cluster for inclusion in a strategic plan. The cluster, which represents industry officials, loggers, educators, economic development officials, bankers and others, met for the first time in January to discuss opportunities and challenges. Two more meetings of the full cluster , held in February and April, identified opportunities and challenges and now subcommittees are meeting. The workforce/education subcommittee met Tuesday. "We received a lot of great inputs," said Ryan Pelletier, Director of Economic and Workforce Development at Northern Maine Development Commission. "I believe the action steps that we are formulating will result in positive outcomes for the cluster as it relates to workforce and education in the forestry sector." Pelletier said one action item is to educate people about potential careers in the forest products industry and link students to jobs. Others include equipment upgrades for training initiatives, like the Region 2 forestry program conducted at Southern Aroostook Community School. The transportation subcommittee, meeting Thursday, reviewed the opportunities and challenges facing the industry. Both the rail and trucking segments were well represented. "The transportation challenges and opportunities for the forest sector were well represented by the members of the committee," said transportation subcommittee chairperson Gary Voisine. "I am extremely pleased with the quality and depth of our membership, and their input on these important issues." "We saw once again another great example of the private sector stepping up and taking such an active role in addressing the rail and off road trucking issues and opportunities for the forest sector," added NMDC Planning and Development Division Director Alain Ouellette. The cluster, organized by the Aroostook Partnership for Progress and supported by Northern Maine Development Commission through grants from the Maine Technology Institute and USDA Rural Development, will hold its next meeting in June, by then all the subcommittees will have developed action items to be included in the final work plan. "I am looking forward to developing the list of actions," said APP President Bob Dorsey. "I can see progress already. The forest products industry represents more than 6,750 jobs in Aroostook County and is the major economic engine of the region. By getting together large landowners, loggers, mill owners and operators, forestry consultants, educators, representatives of elected officials, financial institutions and others, we can accomplish more collectively than companies can individually."